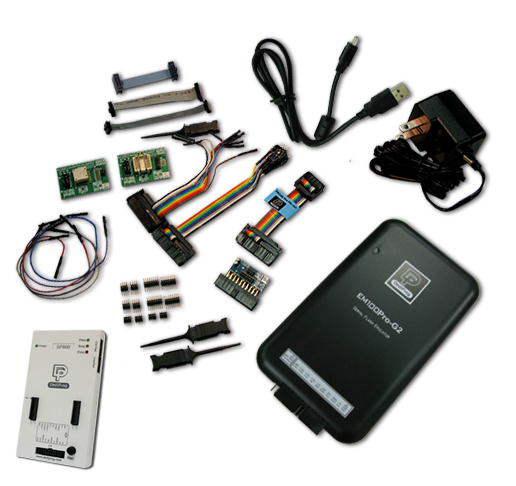 SPI Flash Development kit gives engineers the total solution while working on firmware development based on the SPI flash memories. This kit combines all the accessories of EM100Pro-G2 and SF600 and gives the users greater price advantages than purchasing separately. For more information, please visit SF600 and EM100Pro-G2 product page.